When you start to ask yourself the question about utilizing drones, legally referred to as Small Unmanned Aircraft System (sUAS), there are some extremely important questions that you should be asking yourself before making the final decision. The reason for that is that the FAA has banned the use of drones (or sUAS) for commercial purposes. The problem is, most people do not know what questions to ask, because they have absolutely no idea what the current law is, or what it requires. We will attempt to inform you what the right questions are, and better inform you as the answers that you should be seeking. The ramifications of “not knowing” what you don’t know, are stunning. Flying your drone without the Federal Aviation Administration’s approval could cost you millions of dollars. The FAA said on Tuesday that it’s fining drone startup SkyPan International $1.9 million for allegedly conducting 65 drone flights without the required authorization. It makes for the largest civil penalty ever by the FAA on a drone company, the administration said. You still need a certificated FAA Pilot, no matter who has an exemption. Continue reading to find out why. Question 1: What constitutes 'Commercial' use? This is an extremely difficult question to answer, and it seems that the FAA is playing a take no prisoners approach. In an article written by Jason Koebler or Motherboard magazine, he details the FAA going after Tampa, Florida man for shooting video as a “hobbyist”, which is completely legal, but then uploading that video to YouTube. The FAA’s stance on this practice is that YouTube is a monetized platform, supported by advertising revenue, thus making any video there technically “Commercial”. If you read YouTube’s standard license for uploading video, it would tend to support this assertion. So the advice that I have when considering if your drone use is commercial or not is this: When in doubt, err on the side of caution. If money can be made from your video, it is commercial. If you are intending to use that footage within your own business, and not broadcast it to the world, it is commercial. It seems almost silly, but imagine this: A farmer can purchase and fly a drone all over his or her farmland as a hobbyist and do that without fear of violating any rules or FAA regulation (assuming that this farmland is not in controlled airspace). The second that he/she takes that drone and utilizes it in a manner that would help produce a better crop, that operation is in violation of the FAA ban, and requires an EXEMPTION to the current rule. Question 2: Do You Possess an Exemption? If the answer to this question is not a resounding yes, then your response should be a resounding “No Thank You”. This is the very first question you should be asking anyone, including yourself, if you are intending to operate a drone that in ANY way will be used for commercial purposes. This unfortunately is not the end of the learning process. Even if a company applies for, and is granted an FAA Part 333 exemption, that document comes with some very specific rules that the petitioner must follow. Here in lies the dangerous part of employing drones in your business. If you do not know the FAA rules, you have no idea what these questions are asking. You can be held liable for hiring someone that is not operating their drone in compliance with their issued exemption. If that were not bad enough, anyone who is benefiting from the “illegal” drone use can also be held liable. That should frighten you just a bit if you consider the chain in most business models. For example: A homeowner hires a realtor to sell their home. That realtor then utilizes his/her own drone (or hires someone) to produce images and/or video to market the home. If the rules are not followed in accordance with an issued exemption, anyone and everyone involved may be issued fines and/or face criminal liability if appropriate. As we saw above, that those fines can be staggering. Question 3: What rules must be followed? There is no short answer here. 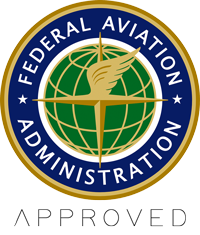 When the FAA issues an exemption Part 333, that exemption comes with a ream of paperwork and various regulations that the operator must comply with to be legal. I will highlight the most important ones, in an order that I think is most relevant to the business owner considering employing drones. As a business person, asking these questions, and receiving the correct responses should keep you out of harms way. They should also be incorporated into any written contract that you have with a potential drone company. Doing so, will provide proof that you have operated with due diligence and should it ever come down to it, indemnify you against potential fines and/or criminal penalties if your legal representative has set the contract up correctly. I am by no means a lawyer, I am a pilot. So for specific guidance, contact your firm’s legal counsel. Question 4: Are You a Pilot? As stated before, if aviation is not your career, these terms probably mean nothing to you. I will attempt to explain a few of them for clarity. PIC: Pilot-In-Command. This is the person in control of the drone, because the FAA considers drones or sUAS aircraft. Therefore, they are required to operated in the same manner as any other aircraft. Airline Transport, Commercial, Private, Recreational or Sport Pilot certificate: These are all ratings given by the FAA to pilots. They vary in complexity of what is required of the pilot. The most complex is the Airline Transport, and it goes down in complexity as the list continues. It is not really important for you to know what they all entail, but it is important for you to ensure that the person flying for your business possesses one of these certificates. Upon request, your operator should be able to furnish you with a card that identifies him or herself, issued by the FAA, which states what certificates they currently hold. It looks just like the one pictured below. If your operator does not have one… RUN. Question #5: Do you know how to operate in National Airspace (NAS)? Of course, the answer you will probably get is… Sure I do! The reality; however, is that it takes years of training and experience to really understand what the implications of piloting an aircraft in the United States. Here in Spokane, Washington, we have a very complex airspace structure. The challenges facing an operator are numerous and the questions that the pilot has to ask can be the difference between a enjoyable flight with great results, or a very expensive and potentially deadly encounter with another aricraft, or at a minimum… a visit with the local Flight Standards District Office (FSDO). Some of our most desirable locations withing Spokane, Washington are within 5 nautical miles of an airport reference point. We have Spokane International Airport, Felts Field Airport, not to mention Fairchild Air Force Base all within a ten minute commute from downtown Spokane. Rees Aerials, LLC has worked hard to build relationships, with over 90+ years of combined military and commercial aviation experience, that translate into knowing how to get the flights approved that need to be flown as well as making you understand the “why” when a desired shoot cannot be flown. The long and short of it is this, if you do not speak the language and know who to talk to, then getting these aerial flights done legally will be next to impossible. Among a litany of other reasons, that are not contained within this text, drone flights within the continental United States is a very complex business. Rees Aerials, LLC is the ONLY operator currently conducting business in the greater Spokane, Washington area that is in full compliance with every requirement of a Part 333 exemption, and operating with a stable of Commercial Pilots. We currently have four Commercial Pilots on staff to fly our missions, combining for over 90 years of both military and commercial flight experience. When you are choosing an operator for your next project, please consider the ramifications of choosing your operator wisely. We are here to help guide you and your business to safe and responsible operations, and are available to answer your questions should you desire to reach out to us for further clarification. For further clarification or questions, please do not hesitate to contact us.